The Garden City Movement provided a radical new model for the design and layout of housing at the turn of the nineteenth century and set standards for the twentieth century which were of international significance. The vision of the movement’s founder, Ebenezer Howard, drew on many strands of political and utopian thought, and initially aimed at addressing the problems of an increasingly urban and dysfunctional society along ‘the peaceful path to real reform’. It took only five years, from 1898 to 1903 for the idea to take root in the open fields of North Hertfordshire, when Earl Grey proclaimed the Letchworth Garden City Estate open. Letchworth was followed by Hampstead Garden Suburb, Welwyn Garden City and numerous smaller developments, and Garden City ideas informed both inter-war housing policy and New Town planning after the Second World War. Present-day issues such as sustainable development and eco-settlements have their roots in the Garden City. 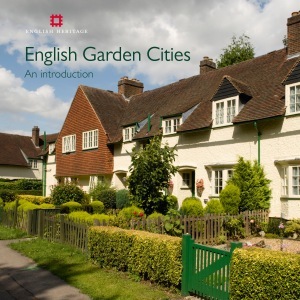 Written by the leading authority in the field, this book tells the story of a major development in England’s urban and planning history and provides a timely popular survey of the achievements of the Garden City Movement and the challenge of change. This will not only appeal to planners and conservation professionals, but also residents of the garden cities.